This is it! Priced to sell! 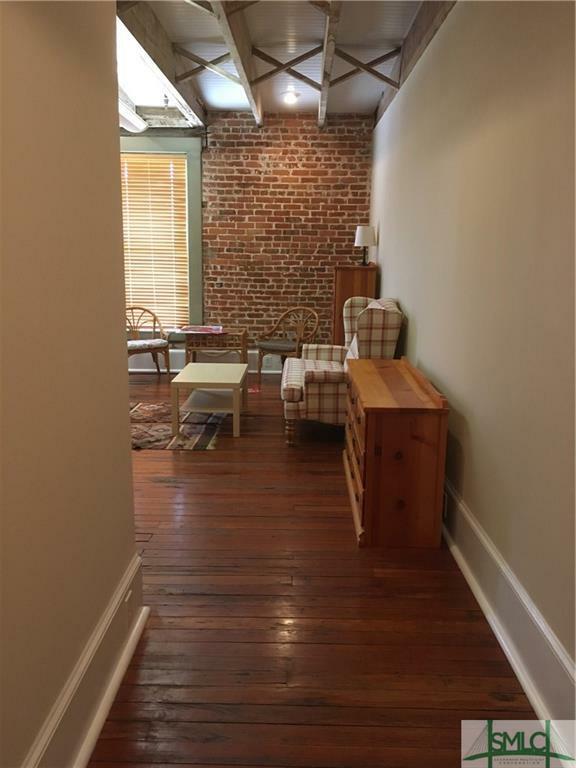 A historic Savannah property with hardwood floors, brick walls, high ceilings, exposed beams. Elevator to the top floor . Unit has panoramic views of the bridge and downtown from 7 windows. Zoned BC1, so can be used for office space, or residential. Galley kitchen, washer/dryer, 2 bedrooms and 1 bath, plus a nice living room. Dedicated high speed fiber optic internet line . 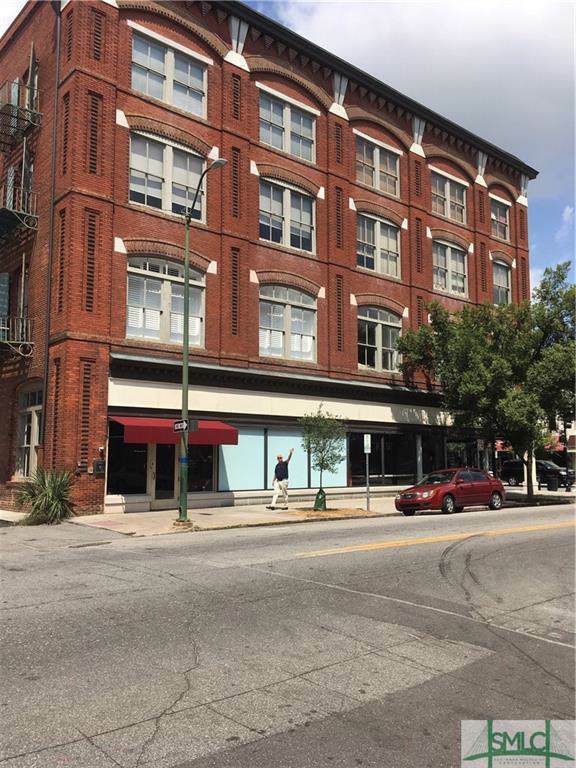 Great location, secure building, with limited number of units. Professionals, business owners-occupants, students. Monthly parking garage by the Telfair Museum which is on the square behind the building. For investors: Rentals must be for 1 year, no VBRO. at this time. although a vote is pending mid- April. Exterior brick exterior is being repointed. 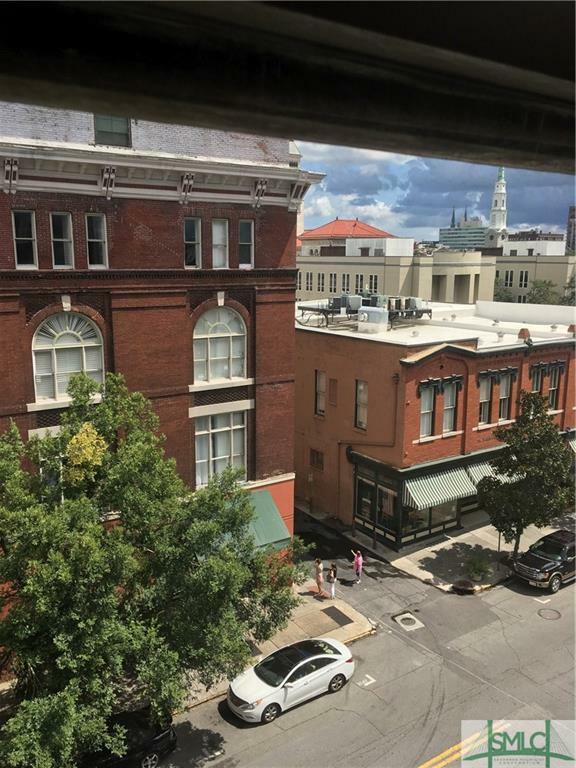 Great time to make your downtown Savannah dream a reality! 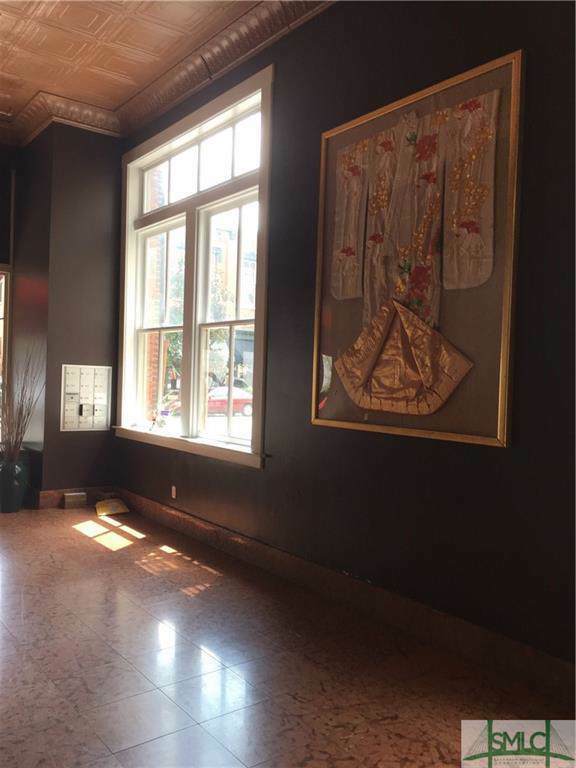 Listing courtesy of Deborah Rauers of Lamara Company. © 2019 Savannah Multi-List Corporation. All rights reserved.